In every garden there is a special place for the softer, more subtle tones of this pretty selection. 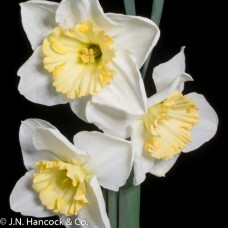 White or cream petals are complemented by varying styles of trumpet or crown in shades of lemon and yellow. 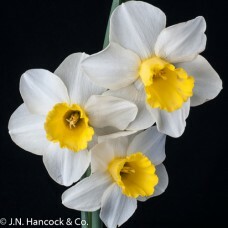 Refreshingly different early flowering variety. 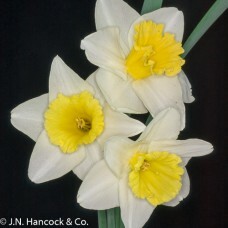 Bright chrome yellow-orange vase shaped cup with a d..
A lovely bloom of substance; smooth white overlapping petals contrast with a bright-yellow large-cup..
A reliable old variety. 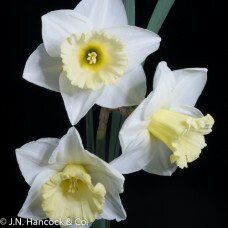 Thick white petals with an intense slightly flared mid-yellow trumpet. Stron.. 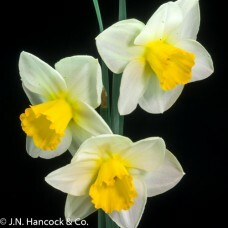 The cylindrical lemon-yellow trumpet matures to almost white and is backed by white petals. 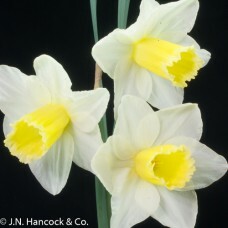 Mid-earl..
A large sophisticated flower; the lime-lemon trumpet-cup has an open, rolled scalloped edge; flat wh..